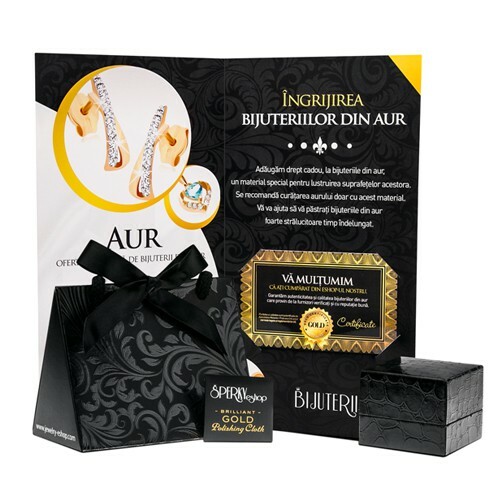 Cercei din aur 585 cu două culori, jumătate bilă decorată cu linii din zirconiu transparent din aur galben și alb. 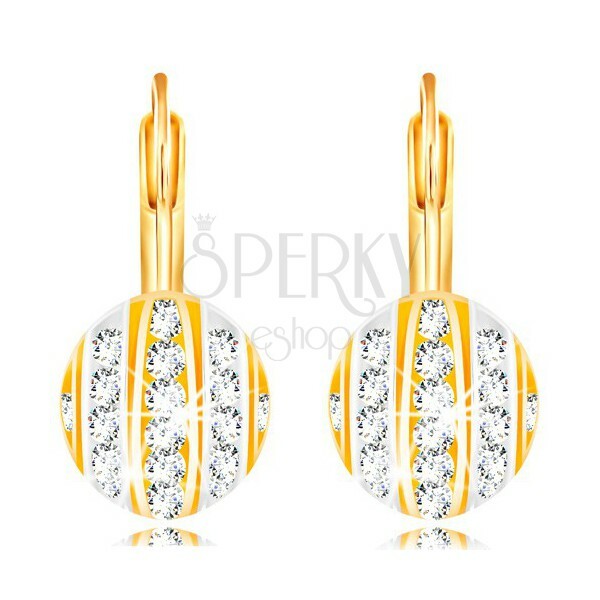 Cercei din aur 14K gold earrings consist of a larger half-ball which is made of alternating vertical lines of yellow and white gold. 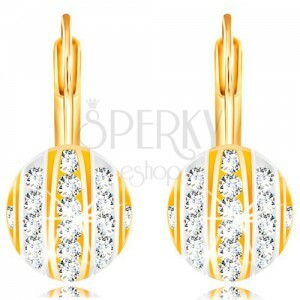 The lines are inlaid with sparkly circular zircons in clear colour. The back side of the half-ball is hollow. 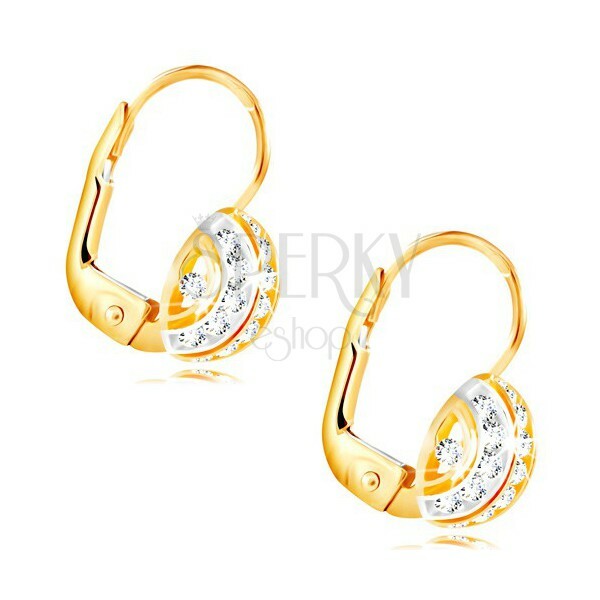 The earrings have a lever back fastening.